If you're a keen user of the Viaduct console, you'll likely find that you usually open up a console and run the same command over and over again. 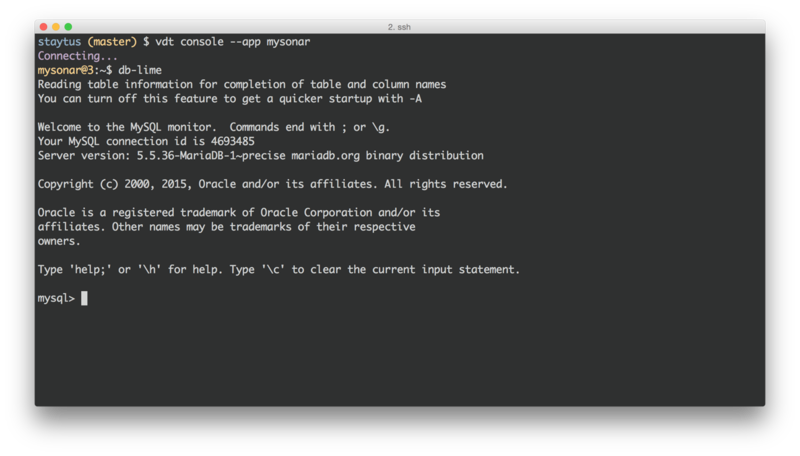 Our new Console Aliases feature allows you to create aliases for your most frequently commands. As a Rails user, I find that I use bundle exec rails console a lot so aliasing this to console will save my fingers some typing! 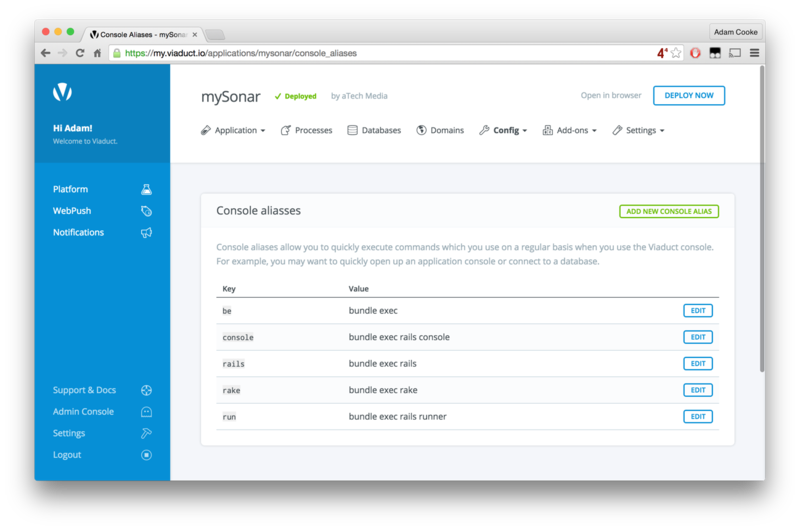 Console aliases are configured on a per-application basis and you can add them from the Config menu. Once you've added your aliases, be sure to deploy to ensure they're configured for your application. The Viaduct built-in templates will also automatically add useful aliases for some types of applications (including Rails apps). Pro Tip: Viaduct includes built-in aliases for opening up console access to your Viaduct databases. Just enter db-strawberry or db-kiwi to open the console. Obviously, be sure to replace the fruit with the name of the database you'd like to connect to.